UPPER MARLBORO, Maryland, September 21, 2010 (ENS) – The Green Party candidate for U.S. Senate in Maryland has died after being hit by an SUV while riding her bike in Prince George’s County early Sunday morning. Maryland State Police say Natasha Pettigrew, 30, died at Prince George’s Hospital Center at 10:30 on Monday night. While training for a triathlon, Pettigrew was riding her bike southbound along Route 202, just south of Campus Way in Largo, when a 2005 Cadillac Escalade, also headed south, struck her about 5:30 am on Sunday, said Greg Shipley, spokesman for the Maryland State Police. Pettigrew was on leave from her studies at the University of Miami Law School to run for the seat currently held by Senator Barbara Mikulski, a Democrat. Police say the driver, Christy R. Littleford, 41, did not stop but continued on to her home about three miles from the scene of the accident, dragging Pettigrew’s bicycle beneath her SUV. Police say the driver thought she had hit a deer or a dog so she failed to stop. When she and her husband found the bicycle under their vehicle, they called Prince George’s County police to report the crash. County police then transmitted the information to state police, who were already at the scene. Pettigrew was not dragged by the SUV but suffered major injuries, Shipley said. Maryland State Police say no charges have been filed. They are still investigating the collision and will forward the information they gather to the state’s attorney’s office. Pettigrew became interested in politics because her family had endured financial hardships, and she felt that public officials could have done more to help them, Bittner said. After graduating from high school at Elizabeth Seton High School in Bladensburg, Maryland, Pettigrew attended Ohio State University in Columbus, Ohio where she earned both a Bachelor of Science in Zoology and a Bachelor of Arts in Criminology. 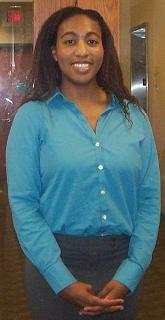 In fall 2008, she entered the University Of Miami School Of Law in Florida. The Green Party said funeral arrangements are not known at this time. Natasha’s mother, Kenniss Henry, is planning to hold a memorial vigil later this week. The Maryland Green Party will post details on its website as they are finalized. According to the Maryland State Board of Elections, the Green Party may name a candidate to replace Pettigrew in the U.S. Senate race. The state party Coordinating Council will make a decision regarding a possible replacement by early next week.